in early childhood education and health in Cambodia. to help young children reach their full development potential. pregnant women and mothers with support, education, access to health care, and nutrition. Let Us Create Futures (LUCF) is a registered Cambodian non-denominational non-profit organization . 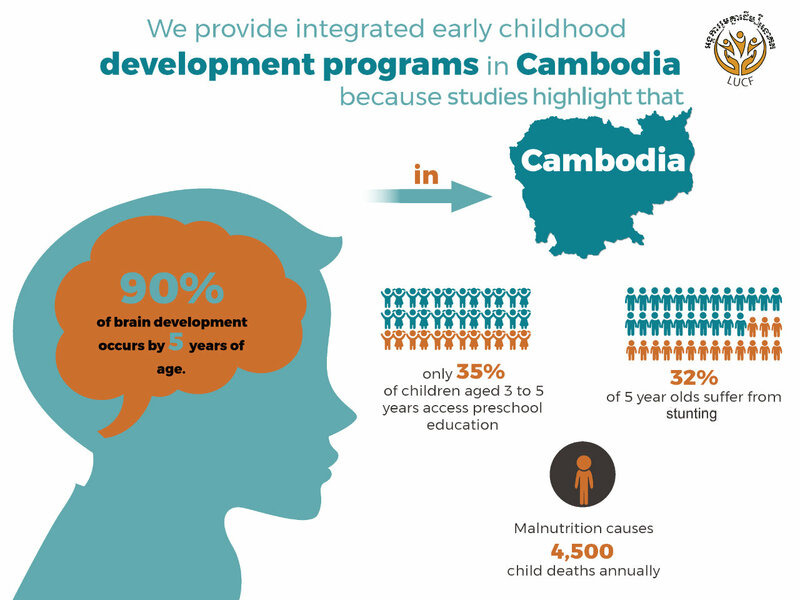 We focus primarily on bridging gaps in early childhood development by providing access to a range of community services in the Preah Sihanouk region of Cambodia. Studies highlight that the first 2000 days of life are critical for setting the foundations of a child’s potential. There are multiple issues currently prevalent in Cambodia that inhibit the healthy development of children from infancy to six years of age. We provide access to a range of support services that focus on assisting in the positive development of healthy children, families and communities. Mothers and caregivers are crucial components to positive early childhood development outcomes. We provide access to a range of services for caregivers at all stages of parenting with the objective of improving healthcare and equality within the province. We are on a mission. Find out why we offer services. By providing access to quality community services that primarily focus on mothers, children, and youth. LUCF works closely with the provincial Department of Education, Department of Health and Department of Agriculture to support the implementation of policies that are designed to improve services for all Cambodians.